The Everpure 4CB5-S delivers quality water for food service, vending, and OCS applications. 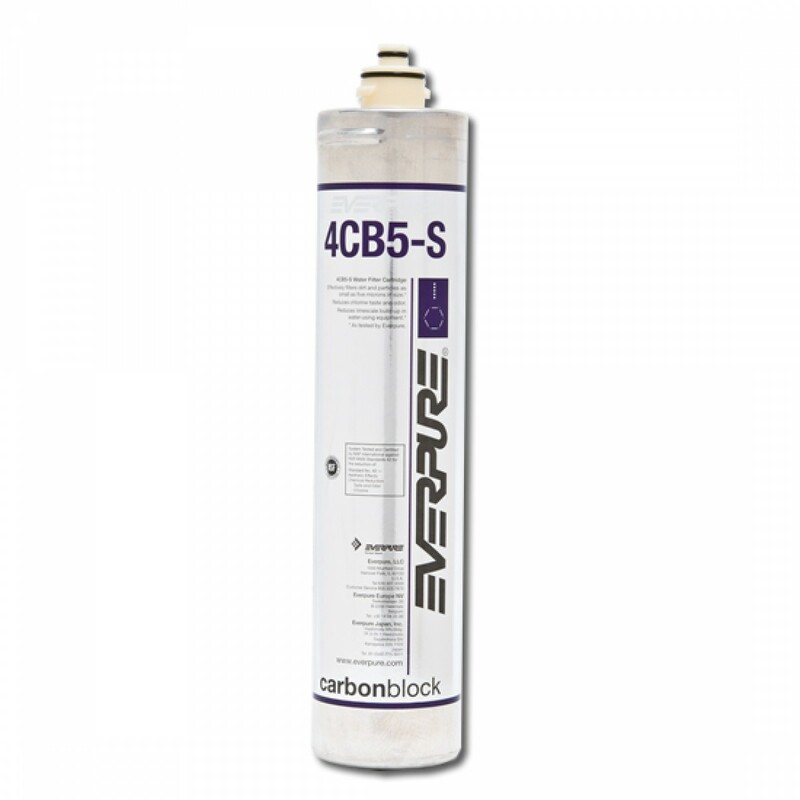 The Everpure 4CB5-S carbon block filter finely polishes water for high quality beverage and food applications. The Everpure 4CB5-S reduces chlorine taste and odor and other offensive contaminants that can adversely affect the taste of water and beverages. Reduces extra fine dirt and particles as small as 5 micron in size. Does not remove fluoride. The Everpure 4CB5-S sanitary cartridge replacement is simple, quick and clean. Internal filter parts are never exposed to handling or contamination. NSF Certified under NSF Standard 42. 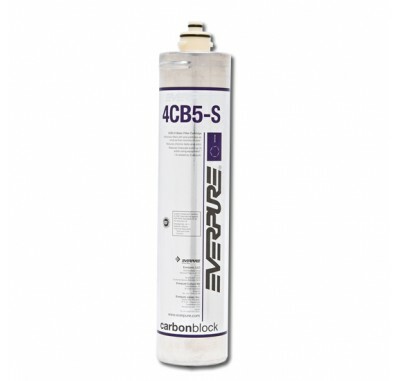 Replace the Everpure 4CB5-S Filter Cartridge every 6,000 gallons.